While it goes without saying that the trade that sent Derrick Rose from the Chicago Bulls to the New York Knicks will have a massive impact on both teams, the real winners here may be the Knicks. It’s hard to argue that Rose is or ever will be the player who we saw back between the 2010 and 2011 NBA seasons. However, there’s still something to be said about what he can bring to the table — or even more than that, what Rose will be able to bring to the Knicks as an organization, even potentially off the basketball court. Back during the 2010-11 season, Rose averaged 25 points, 7.7 assists, and 4.1 rebounds per game. He won the Most Valuable Player award that season and led the Bulls to the No. 1 seed in the Eastern Conference. While he was unable to bring a championship that season, his stellar play continued on into the 2011—12 season, as he averaged 21.8 points, 7.9 rebounds, and 3.4 assists in 39 games. 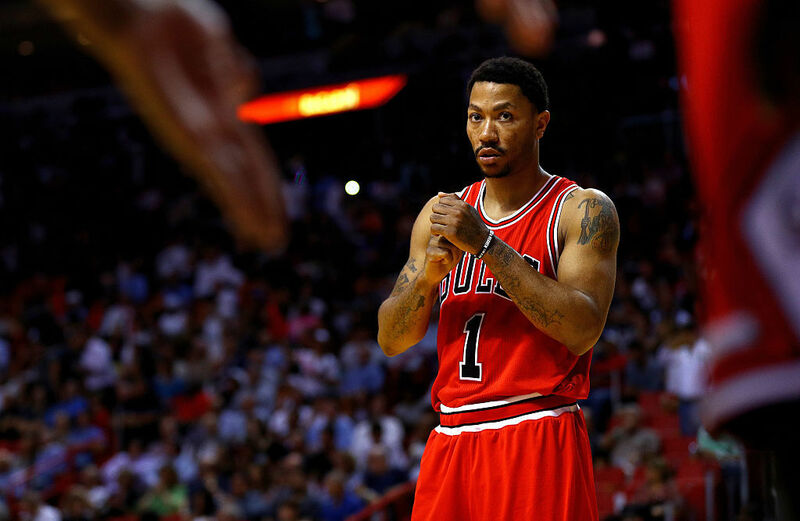 During the playoffs of that year, Rose tore the ACL in his left knee, essentially altering his entire career. Since then, Rose missed an entire season, played just 10 games the year after that (2013—14) and just recently began playing at anything remotely close to full strength. Over the past two years, Rose has averaged 17.7 and 16.4 points, respectively. There’s an obvious decline in production, but he’s still capable of playing at a pretty high level. So, what’s it all mean for New York? Well, for starters, it means that the Knicks finally have a point guard who’s capable of putting the ball in the hoop and making life a bit easier on Carmelo Anthony. Second, the Knicks just became quite a bit more attractive as a free agent destination. Listen, Anthony alone was a pretty nice draw for impending free agents. He’s a great player, New York is a great city, and people love the idea of playing in Madison Square Garden. Even with that said, the Knicks still have their fair share of trouble when it comes to landing big-time free agents. The move to get Rose shows that they will do all they can to land someone — anyone — this offseason to help push them back into the postseason. Rose was traded for Robin Lopez, Jerian Grant, and Jose Calderon. Out of those three, Lopez was a solid inside contributor, Grant was young, up-and-coming talent, and Calderon is likely on the tail end of his career. The focus for the Knicks this offseason seems pretty obvious. Their goal will be to convince one of the impending free-agent big men on the idea of pairing up with Rose, Anthony, and second-year power forward Kristaps Porzingis. These big men could include the likes of Al Horford, Hassan Whiteside, Dwight Howard, or possibly even Pau Gasol. Any of those names would likely be welcomed additions (although some aren’t sold on Howard, understandably so). The fact is, having Rose in the mix as a selling point could make New York even more enticing for the four names above. Want to take it one step further? How about a shooting guard like Bradley Beal, DeMar DeRozan, or even someone like Jordan Clarkson or Evan Fournier? The options are all on the table, and now it’s up to the Knicks to start pushing. Obviously, the safest bet when evaluating the game-plan for the Knicks is assuming they’ll start by making a full-court press for Kevin Durant, which likely won’t work, and then working on a big man and possibly a less-expensive shooting guard from there. One way or another, you can’t deny the fact that having Rose’s name etched in the starting lineup helps make the Knicks just a bit more attractive as a free-agent destination.